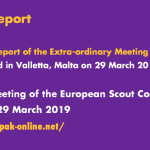 The Europe Committee WAGGGS and the European Scout Committee of WOSM invite you to contribute to the thinking about the relationship of WOSM and WAGGGS at European level. A Joint Survey has been developed to help gather your feedback by 10 September 2018. Please find the Committees’ message in Joint Communication 11 2018. 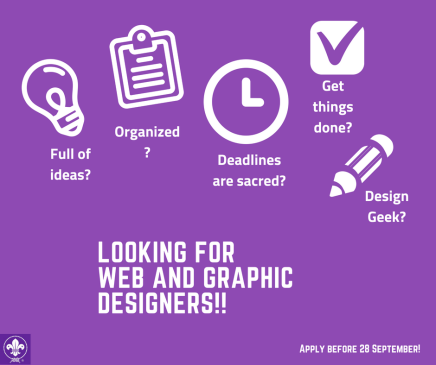 The European Support Centre of WOSM is seeking a freelance Web Developer and a Graphic Designer for a short term assignment. Depending on the availability of funds for future projects in 2019, an extension of the service agreement can be foreseen. 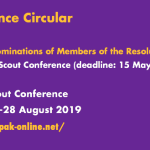 All applications including financial hourly quotations should be sent to comms@scout.org by 28 September 2018. Please check out the assignment descriptions for Web design here and Graphic design here. 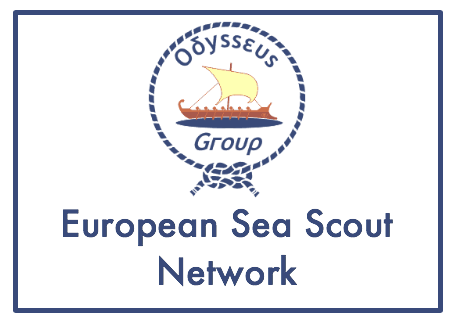 This assignment is partially funded by the Erasmus+ programme. 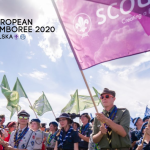 Roverway 2018 is a European learning event for young people age 16-22. 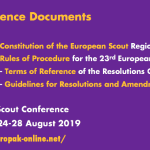 It is organised by WAGGGS, WOSM and Scouting Nederland. Roverway 2018 took place in the Netherlands from 23 July to 2 August. 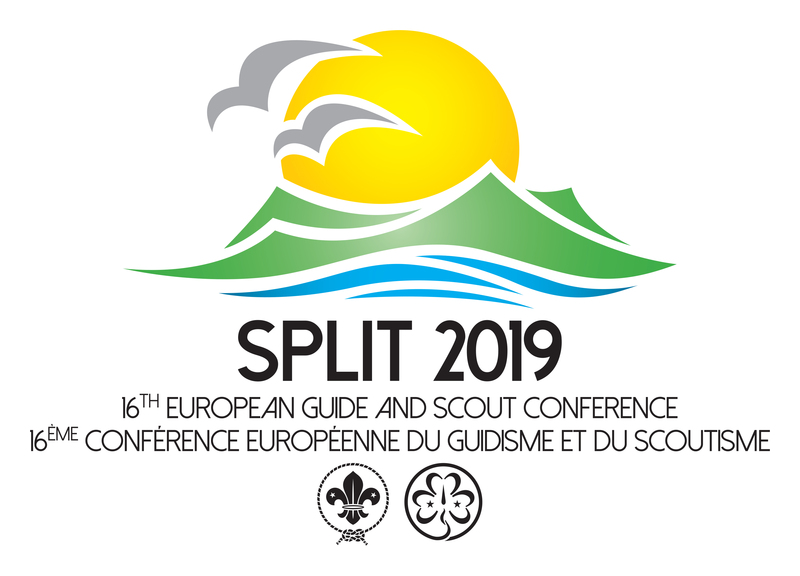 Over 4000 young people from all over Europe and beyond gathered for the event. It is a volunteer led event and relies on the passionate and hard work of 700 volunteers. Find out more at www.roverway2018.nl/en/. 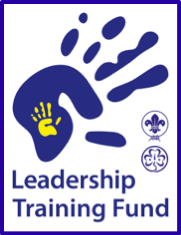 WAGGGS is working on a long-term project (Lead the Way) aimed at empowering young people to deliver a relevant, exciting, accessible and learner led programme for Roverway participants. This should also match our mission and vision. 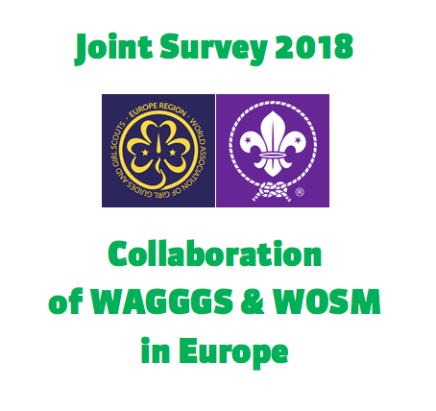 To provide organisational support to WAGGGS’ work related to Roverway 2018, focusing on support of volunteers to ensure they deliver a high-quality programme. You’ll work with the project manager to ensure organisational aspects are taken care of and internal information flows. Increase knowledge and understanding of the management of funded grants. Start as soon as possible, preferably no later than 21 September 2018. The contract will last for three months. Interviews will take place on 6 September 2018 at Rue de l’industrie 10, B-1000 Brussels, Belgium. We will invite people for interviews on a rolling basis and uphold the right to select someone before the deadline. Normal working hours are 7.5 hours per day Monday to Friday. You might also support delivery of events which require weekend and evening work. Compensatory leave days will be provided. Applicants must already be living and have the right to work in Belgium. 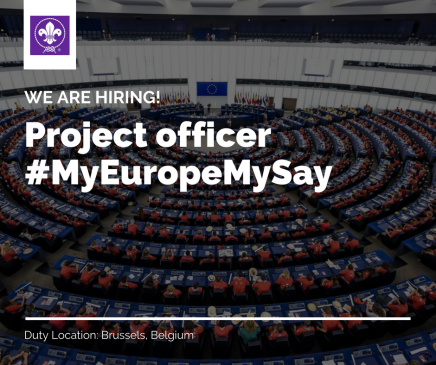 Are you looking for a new exciting professional adventure, especially in the context of the upcoming European elections? This job opportunity might be for you! 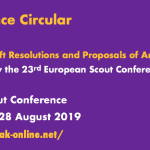 Don’t miss out and apply before the deadline!The European Scout Region is seeking a Project Officer for the World Scout Bureau Europe Support Centre in Brussels, Belgium. Find out all relevant details in the Information Pack for this position. Deadline to submit applications is 29 August 2018 (just before midnight). 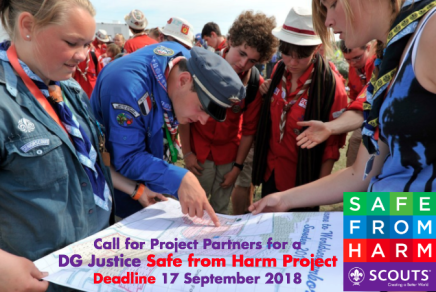 The European Scout Region of the World Organization of the Scout Movement (WOSM) is planning to submit an application for a “Safe from Harm Project” in response to a call launched by the European Union’s DG Justice. The funding application will be submitted at the European level by the WSB Europe Support Centre, Brussels. We are now reaching out to you as interested NSO/NSAs can become a partner to this project application. To be a partner in this project, please check carefully the information and conditions specified in Regional Circular 21 2018. The deadline for your expressions of interest is Monday 17 September 2018.